JibberJabberUK: Finance Fridays – How much is the garden affecting your house's value? 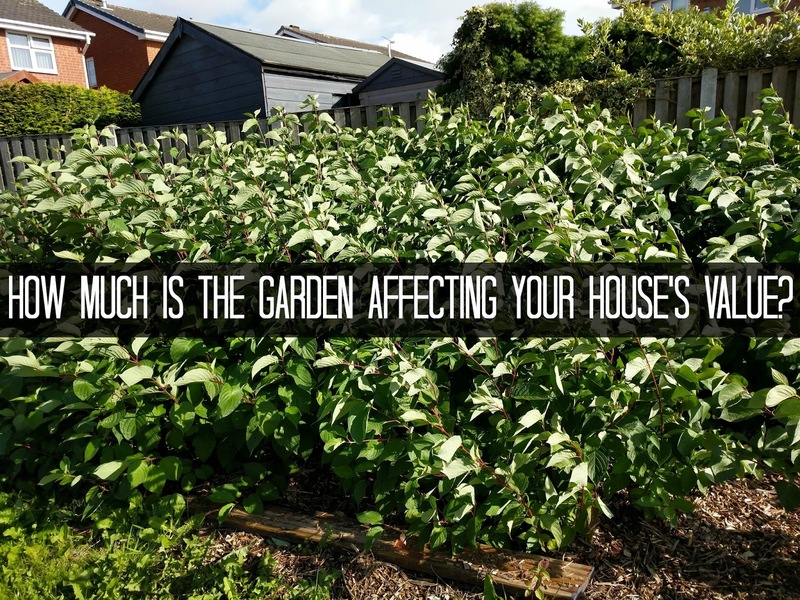 Finance Fridays – How much is the garden affecting your house's value? We were looking at some money saving tips in last week's Finance Fridays. This week we are talking about gardens but not in a good way. A well designed and beautifully kept garden can add thousands to the value of a house. However, when the garden starts to take over it can have a devastating affect on not just the house's value but the ability to sell it or even insure it. Often though the problem is not your own garden but one that is neighbouring yours. Let's have a look at the worst offending plants and what you can do about it. If a garden is left untended for a length of time then often the first plants to start growing are blackberries and elderberries. The simple reason for this is that birds will eat the berries and then later they will deposit the seeds when they fly over. Another plant that loves waste ground or unkept areas is the buddleia. In bloom the purple or white flowers are very attractive and are loved by butterflies for their nectar. When the blooms die off they start to look scruffy and spread quickly. These plants can be a pain to remove (literally when it comes to the spikes on the blackberries!) and can be done yourself but it will take a bit of effort. One plant that will severely affect your house's value is the existence of Japanese knotweed. When it was introduced to Britain in the 19th century it was seen as an addition to herbaceous borders. Gardeners planted it without knowing how quickly it grew and how invasive it was. The major problem with it is that its roots are extremely tough and resistance to most weed killers. If left to spread it can start to undermine foundations. It isn't illegal to have Japanese knotweed on your premises but if you allow it to spread to other people's properties you could be prosecuted and fined. If you try to get rid of it you must make sure that none of is transferred into the wild. Getting rid of Japanese knotweed requires specialist treatment and usually a permit to dispose of it. Leylandii have become popular as they are quick growing and can easily form a hedge. The problem is they don't stop growing and can reach heights of up to 15m. This can lead to loss of light in a property and could end up in a legal action being brought against the homeowner. Leylandii also have strong roots which can end up affecting the foundations of a property. If you feel that you your neighbour's garden is affecting the value of your house or damaging your property you can at first try to resolve the situation by talking to your neighbour and explaining the problem. If this fails gather as much evidence as you can and submit it to your council. Sometimes going to your council can be successful but on other occasions you may need to take further legal action yourself. Remember, if you want to sell your house then you are legally obliged to declare any disputes you have had with your neighbour. This alone could put off potential buyers. Have you had a problem with a neighbour's garden? What did you do to resolve the problem? If you want to join in with this week's Finance Fridays then add your link to the linky below. Any post concerning financial matters is allowed. Full details here. It doesn't have to be published today as you have until 23.55 on Tuesday 19th September 2017 to join in.